This year Temple Badrinath opened on 9th May 2008.Badrinath Temple opens every year in start of summer for about six months and closes in November for winter season. It is customary that the temple is opened after declaration of an auspicious day by the Hindu astrologers and Pundits. Similarly it is closed after declaration of such auspicious date too every year. On opening and closing, big religious ceremonies are performed and Government of Uttranchal Pradesh, India also offers its services in to the ceremonies and help of keep Law and Order. 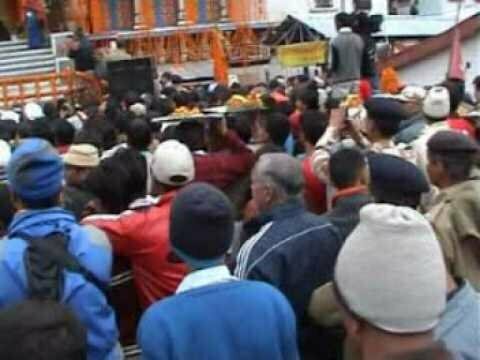 On winter closing, The Holy Idol of Lord Vishnu is taken to Village Pandukeshwar, just a few miles before Badrinath, down hill at Yog Dhian Badri Temple and established there for the rest of year. After six months it is taken to Badrinath Temple at its opening. Holy Badrinath Temple is considered as temple of very high esteem in Hindus. It is dedicated to Lord Vishnu, the ultimate God in Hindus. It is leading in four great temples of Uttranchal area knows as Char Dhams of Uttranchal. It is actually leading the Four Great Temple stations of India knows as Char Dhams founded by Great Saint Shankracharya, who reestablished Hindu culture in an ancient way knows as Sanatan Hinduism which is said to be as established and preached by God himself.